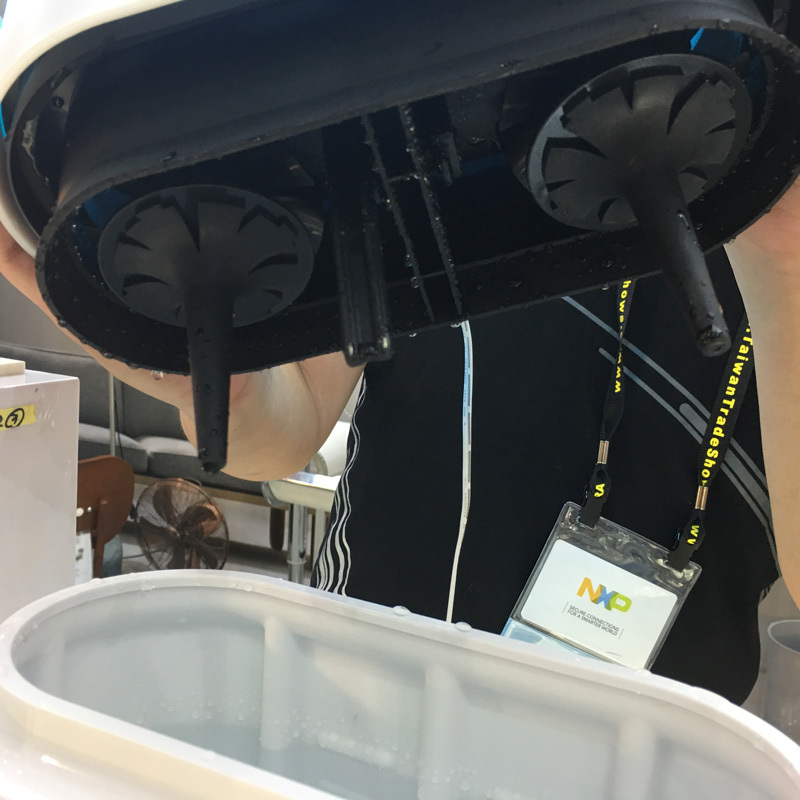 Computex 2018, held annually in Taipei, is among the largest computer and technology trade shows in the world, and considering that I live in Taipei, and Opro9 (also based in Taipei) were going to have their booth there, I took it upon myself to take a visit, introduce myself to the team, and give them the lowdown on the website. 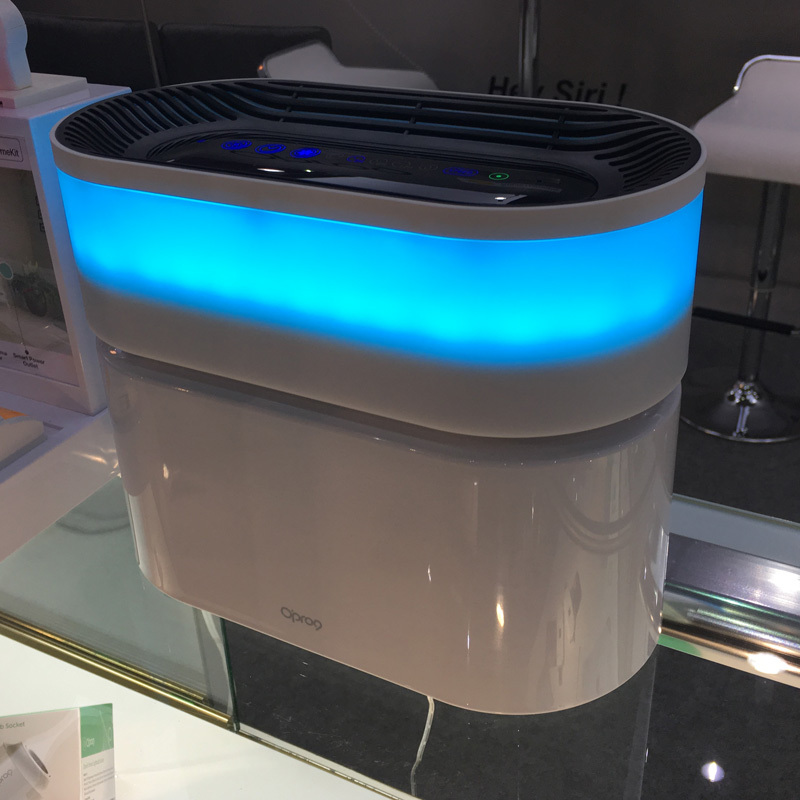 In turn, I was given a look at some of their products, one of which I recently mentioned in a separate article; the Opro9 Smart Air Purifier. 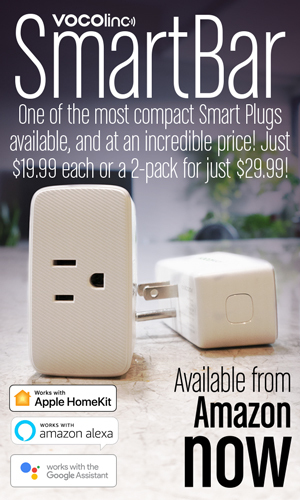 Excitingly enough, this wasn’t the only product they plan to unleash into the HomeKit ecosystem. firstly, I’ll start of with what information I have on the Smart Air Purifier. The device is actually quite small, measuring only 265 x 210 x 133mm. 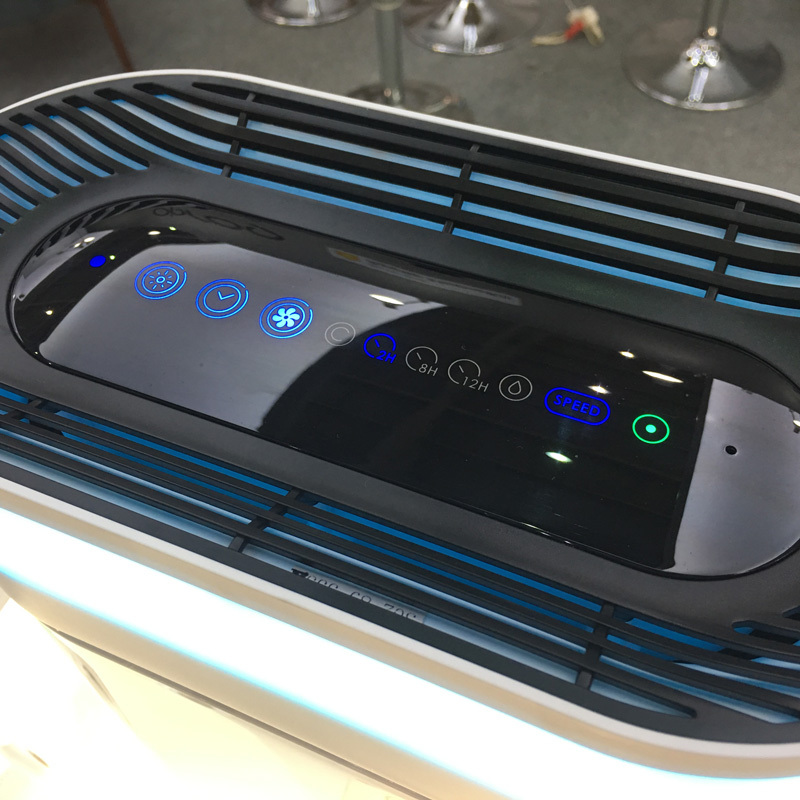 This would indicate it’s designed for more personal use cases than purifying large rooms, so it would be more suited to a bedroom, or perhaps underneath your dining table or work desk. The one thing that sets this apart from standard air purifiers is that instead of using an air filter, the device uses a water tank to clean the air, removing particulate matter. I’m not a very technical person, but if it works and I don’t need to keep buying filters and just fill the tank from the tap, that’s a great thing! The device can be physically controlled with a set of touch-sensitive buttons across the top, with presets for timers, fans speeds and a separate control for the light – yes, the very large light at the top end of the device you may have noticed! The light can be controlled and the colour altered with the physical controls, but the primary reason for the lights is to indicate the air quality level in the immediate vicinity around the device. Given that it is almost certainly using a set of colour LEDs, one can assume it’s capable of the standard 16million colours, but as of writing, that is yet to be confirmed. 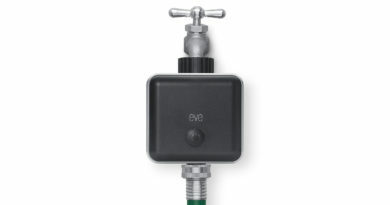 There’s also an indicator on top of the device to show when you should change the water. There’s no word on pricing, so I can’t really give an idea of value for money. However, if it’s priced fairly competitively, taking into account the savings you would make over not having to replace a filter, it could be a good purchase over the course of the life of the device. consumes only 9.5 watts to operate. 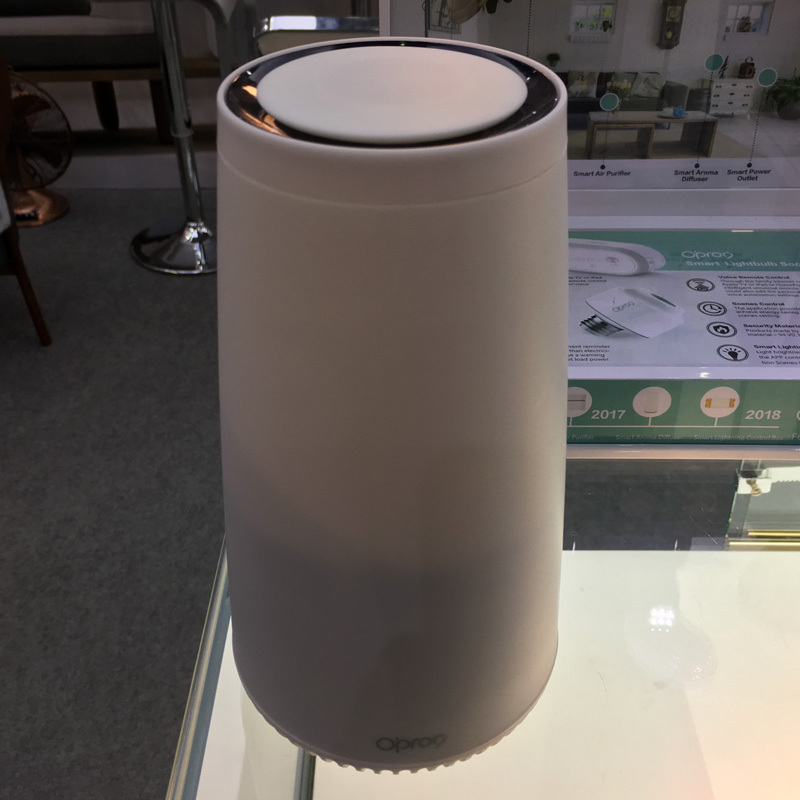 The Smart Aroma Diffuser is the second HomeKit product on display at the Opro9 stand and unlike the Air Purifier, is a lot more understated, although clearly following the same general design traits. Standing at 209mm it’s certainly not going to go unnoticed, but depending on where you place it, that may not be an issue. As the name of the product states, this is an aroma diffuser, but it’s also a standard humidifier as well. So, if you just want to add humidity to your place, then you simply add water. Adding the appropriate ‘aroma’ to the water supply will add a pleasant background smell too. The device has built-in lighting, although I didn’t get to see the lights in action at the time. Its a fairly simple device, but certainly a welcome addition to the HomeKit world, I feel. 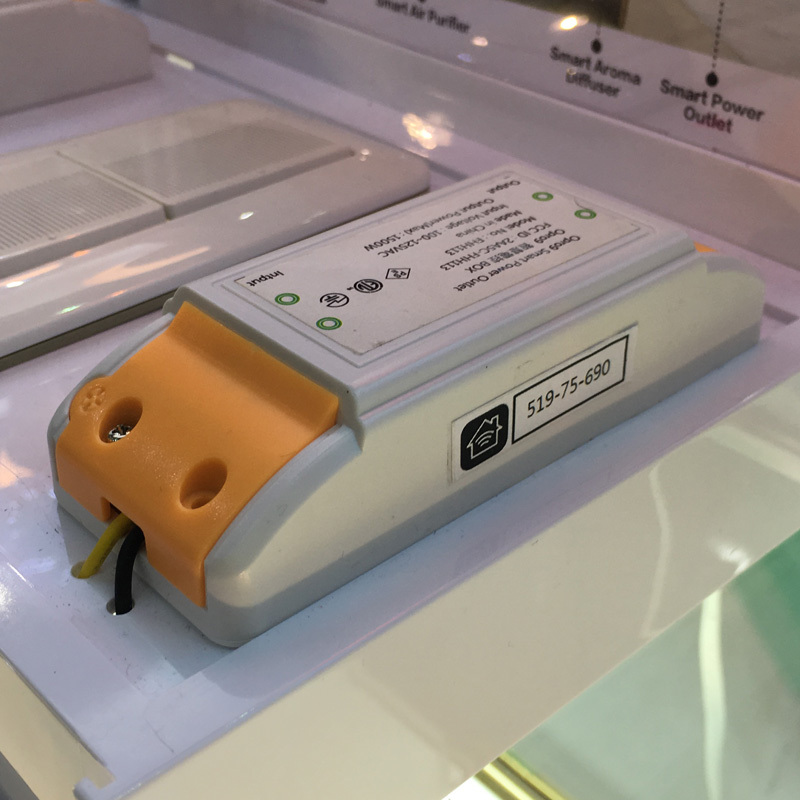 These are the final new additions to the current crop of Opro9 HomeKit-enabled devices, and if you’re not familiar with this type of product, they are basically electronic switches that control the power to your standard physical in-wall light switches, but they site in the recess behind the switch itself. 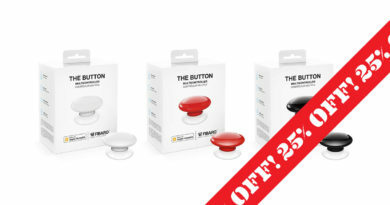 The benefit of this is that you can still have your own favourite types of ‘dumb’ switches, but with the added smart factor ‘behind the scenes’, as it were. Representatives at Opro9 informed me that at present they aren’t planning on selling these direct to consumers, instead only selling to construction companies that build new houses. The reason for this, they said, was that this kind of electrical DIY isn’t very popular in Asia. 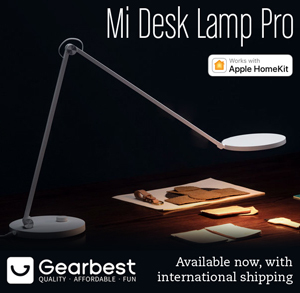 I informed them that it’s just the opposite in the west and, depending on the price point, these types of devices are already quite popular, if still a little ‘under the radar’ compared to other HomeKit devices. So, hopefully they’ll change this and offer them to consumers in the near future. They currently have two versions of this product; one for standard 1-gang switches, and one for 1-gang switches suitable for dimming. 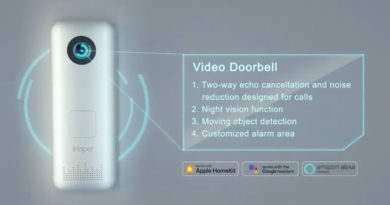 Will iHaper Keep HomeKit Doorbell Dreams Alive? 27th September 2018 葉秉豐 Comments Off on Will iHaper Keep HomeKit Doorbell Dreams Alive?